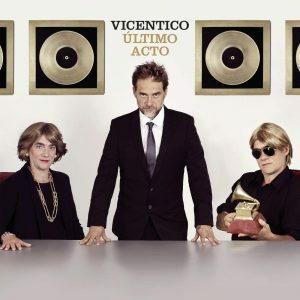 The travelogue of the recording of Vicenticos´s “Ultimo Acto” for Sony Music Entertainment Argentina. We travel along with the frontman of “Los Fabulosos Cadillacs” through different cities around the world seeking each place´s particular sound. Santiago de Chile, Kingston (Jamaica), New York, L.A., Nashville, are some of the scenarios from this DVD that flirts both with documentary and music video aesthetics. It captures the essence of each city and the characters we met along the way. Such as Willie Nelson, Sly & Robbie, Brazilian Girls and Intocable. From that 3-month-long tour, emerges “Último Acto”. A different approach, nominated for Best Long Form Video on 16th Annual Latin Grammy Awards.